Edward J. Bush, 92, of McDonald, passed away on Sunday, November 25,2018, at St. Elizabeth Hospital in Youngstown, surrounded by the people he loved. Edward was born November 17, 1926, in Cleveland, the son of Clarence and Naomi (Davies) Bush. Edward graduated from McDonald High School in 1944. After graduation he served his country in the Navy during World War II. Following the war, he began work at US Steel where he met his "Bride" Frances. He studied accounting at Miami University and Youngstown State University. In 1963 he became Trumbull County's first data processing director. Edward entered politics in 1983, becoming Trumbull County Auditor. He remained auditor until his retirement in 1995 where he was well respected for his honor, integrity, and calm demeanor. 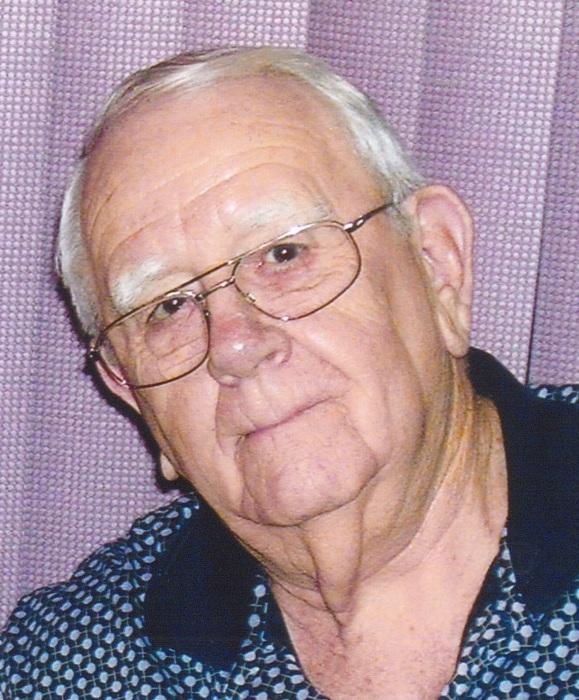 A 90 year resident of McDonald, he also served as Village Clerk for 24 years. Following retirement he served for many years on the Trumbull County Children's Services Board. Edward was an avid lover of sports. He enjoyed going with family and friends to football, baseball, and basketball games to root for his favorite teams. A Cleveland Browns fan, he attended the very first Browns game in 1946, a win against the Miami Seahawks. His last game attended was this year's win over the Jets! His love of sports also led him to officiating high school football and basketball for 26 years. Edward is survived by his children; David (Patti) Bush of Fowler, Barbara (Richard) Molinari of McDonald, Richard (Michelle) Bush of Poland, and Tina (Lee) Sparks of Mineral Ridge, his grandchildren; David Jr. and Eric Bush, Rebecka Speerstra, Ricky and Jenn Molinari, Michelle and Norah Bush, Melanie Melnik, and Billy Sparks, seven great-grandchildren, and his sister Ruth (Oliver) Rice. Besides his parents Edward is preceded in death by his loving wife, Frances (Layshock) Bush, whom he married July 28, 1951, his sisters; Mary Lou (Bill) Lynn, EarlAnne Hurt, and his son, James Bush. Funeral services will be held on Wednesday, November 28th, at 11:00 AM, at Blackstone Funeral Home where the family will receive relatives and friends from 10:00 AM until the time of service, and also on Tuesday, November 27th from 4:00 to 7:00 PM. Edward will be laid to rest next to his wife and son at Belmont Park Cemetery. Visit www.blackstonefuneralhome.com to view this obituary and to send any condolences to the family.